U.S. District Court Judge Edmond Chang swears in new U.S. citizens on Thursday. CHICAGO (WLS) -- A federal judge in Chicago swore in a group of new U.S. citizens on Thursday, a day that is very special for his own, immigrant family. Roughly 100 people from around the world took the oath of citizenship at then Dirksen federal building in the Loop. 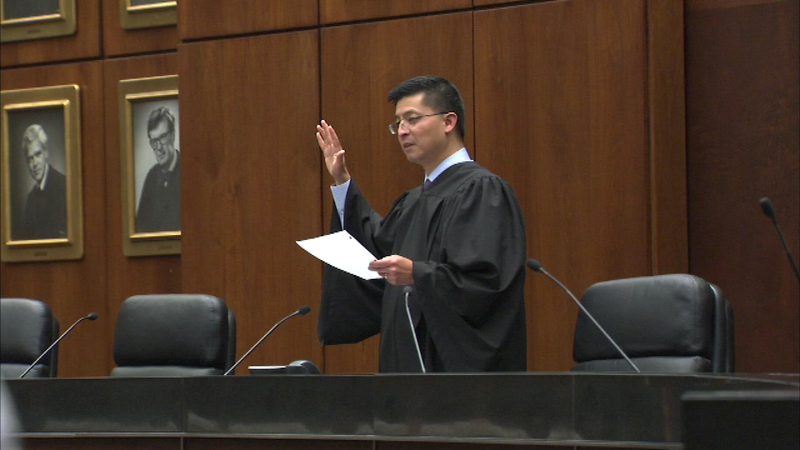 U.S. District Court Judge Edmond Chang conducted the swearing-in. Thursday was also the 40th anniversary of his own parents taking the oath of citizenship. They emigrated from Taiwan.